إذا كنت تبحث عن فندق بموقع جيد في يارا فالى، فقد وجدت ضالتك في Yarra Valley Lodge . لا يبعد الفندق كثيراً عن مركز المدينة، فهو يقع على بعد 44.0 Km منها. في حين يستغرق الطريق منها إلى المطار حوالي 54 دقيقة. بالنسبة لمن يريد الخروج، هذه بعض المعالم السياحية المتوفرة للزوار Main Street Medical & Skin Centre, Lilydale Medical Centre. إن الخدمات التي يقدمها Yarra Valley Lodge تضمن للنزلاء إقامة مريحة. يمكن الاستمتاع بمجموعة من الخدمات على أعلى المستويات في الفندق كمثل خدمة الغرف على مدار الساعة, مكتب الاستقبال على مدار الساعة, مرافق مخصصة لذوي الاحتياجات الخاصة, تسجيل وصول/خروج سريع, تخزين الأمتعة. يمكن للنزلاء الاختيار من ضمن مجموعة من الغرف المصممة بعناية لتعكس جواً من الراحة، والتي يتجاوز عددها 102. يقدم الفندق العديد من الفرص للاستجمام كمثل ملعب جولف (ضمن العقار), مسار جولف - ضمن 3 كم, سبا, تدليك, بلياردو. إن Yarra Valley Lodge هو خيارك لخدمة الفنادق الراقية في يارا فالى. The place was lovely our room was spacious and large. When we got to the hotel they gave us the key cards and then after trying to open the room, the cards didnt work and had to go back and forth to reception as they mixed up the booking or something. The breakfast was limited i was expecting a bit more variety, the lattes were free which was great! 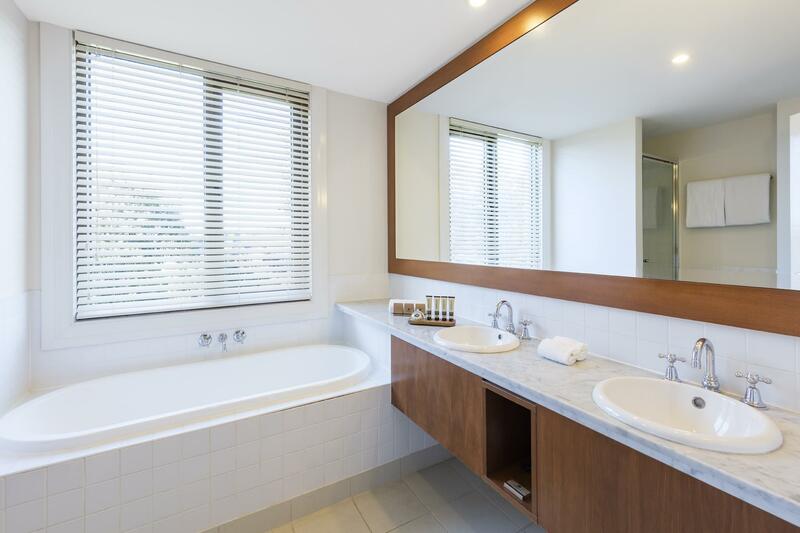 Being the 'Yarra Valley Lodge', we thought we got ourselves a good deal at an upmarket resort. The rooms are nice a spacious. However, the swimming pool and the gym are quite far from the hotel. The restaurant food and staff were rather mediocre. I left half of my dinner and couldn't eat anything at breakfast, it was that bad. To top it all off, the air conditioning in the whole hotel broke down during our stay... on a 35 degree day!! We called at 4pm to enquire about it when it stopped working and the receptionist said it was getting fixed and would be back on in no time. We called again at 7pm and were told to just drink cold water from the fridge and they wouldn't charge for it!! How generous... (not). Our room was located just above where the technicians had brought a big and very noisy machine to fix the air conditioning. The noise and the absence of air conditioning went on till 11.30pm!! We received no compensation for the trouble and discomfort. Hotel was lovely, rooms were clean, facilities were good, only slightly negative was that the staff didn't seem to know what they were doing, first night at dinner they forgot to take our order then forgot our drinks. Also at breakfast on the Monday morning there was limited options with no bread and cooked options constantly running out. Also in the bar all tables were dirty with glasses or dirty dishes and there was no body cleaning them up. Had dinner both nights at Bella restaurant. Really good food. Even the dishes from room service was great! Try the beef short ribs. Yum. Room was clean and spacious. Kangaroos at the balcony adds to the specialness. I booked this hotel with prepaid condition thru Agoda. And on the day of checkout, I was charged again?!? So confused, I told them about booking condition but they seem not to understand. Maybe it’s due to mine broken english, otherwise they havent heard of agoda before. 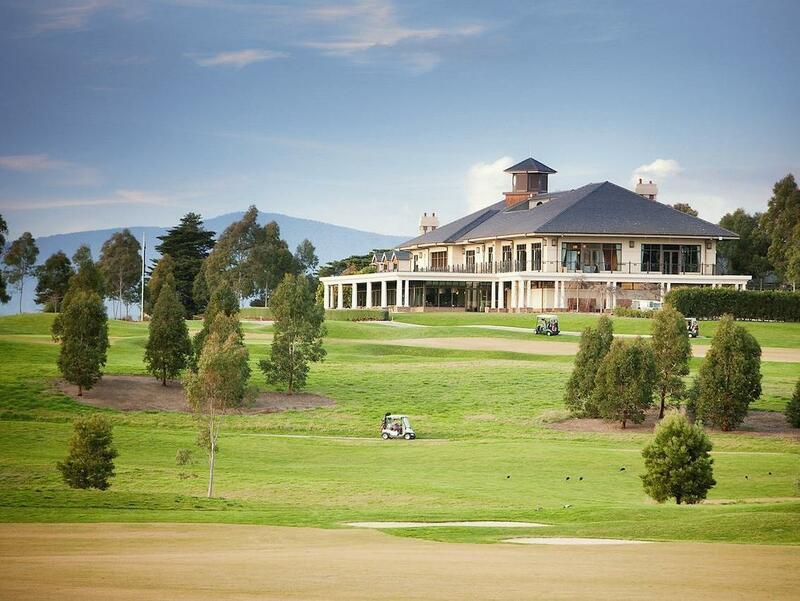 Yarra valley lodge is the ideal choice for golf-lovers and conference goers. However, it proved to be a great location for us with a young toddler too. The staff at front desk were amazingly helpful and changed our allocated room to one with two double beds and a walk-in shower for ease of babysitting our little one. The golf courses promised a spectacular view of the greens and ridges, we even spotted parrots and several wild kangeroos! Breakfast spread was surprisingly sumptuous and the pastries selection was great. Would love to return for another retreat soon! Have stayed here twice and would recommend the stay. affordable, comfortable and awesome buffet breakfast. Perfect place to get away and relax with natural surroundings. Overall we had a very pleasant stay. Good value stay .Excellent breakfast choices.Good sized rooms. Excellent rooms, beautiful trail walk, delicious breakfast. The only negative was the price. Had I made a last minute booking I would of saved over $100 and based on the nunber of people at the lodge, they were definitely not short of rooms. Otherwise the lodge was outstanding. Very professional staff with beautiful clean rooms. The surrounding area was just as beautiful. The room service was remarkable. I found the meals at the lodge bar more to my liking and to have them delivered to my room made my weekend even more impressive. I wish I had more time to enjoy the room and scenerary. I would definitely recommend this lodge and would be happy to stay again in the future. Our weekend at Yarra Valley Lodge was soooo much better than I expected! Tucked away, so very quiet & private yet within minutes to all the attractions & wineries. Very pretty, beautifully maintained property. Comfortable rooms, amazing views, spotless, plenty of car parking, amble room. Retreat complex was lovely, pool, sauna, day spa treatments, lounge area, wine. Staff so welcoming & couldn't be more helpful. Tennis courts, BBQ, river walks, kangaroos. This place is just perfect. "Emily" in the restaurant has to be thanked sooooo much- she went beyond the call of duty & out of her way to assist us, phone nearby wineries & bring us touristy information. The Lodge should be proud to have her!!!! We had a beautiful, relaxing weekend. Thank you. I can only review Bella restaurant as Agoda did not pass on our details to Yarra Valley Lodge & so we had no accommodation booked as we thought so Yarra Valley Lodge kindly found us alternative accommodation, which was sensational. Didn't spend a lot of time at the hotel, we spent most of our time exploring the area. Beautiful restaurants and cellar doors. I recommend dinner or lunch at Meletos. Breakfast was great, we were celebrating my partners 30th birthday and Yarra Valley left a bottle of champagin in our room. Great value for money! It was the first time we had ever actually stayed in the valley. It was wonderful to have a base to be able to visit various tourist facilities. The restaurant was most enjoyable and the staff were extremely helpful.